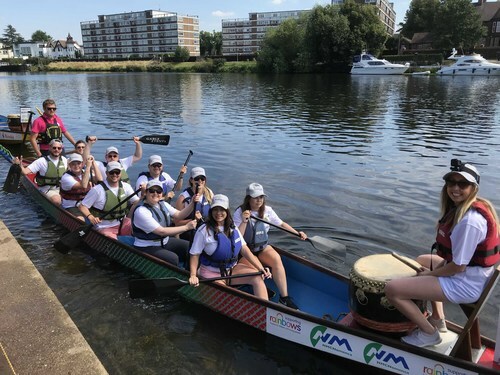 The Dragon Boat Challenge took place on Sunday 5th August 2018 and the Thorn Boaters were among the 50 crews battling it out over the 200m race course on the River Trent at the Victoria Embankment watched by thousands of spectators. Dragon boat racing is an ancient Chinese tradition and the fastest growing water activity in Britain today – as well as the most fun! We had 10 people paddling our 30’ boat with a drummer (Samie) at the front beating time and our helm at the tail steering a straight course. The day is always a popular event for our staff and this year was no exception, with lots of food (Aqsa our IT Systems manager has the best chicken recipe!) lots of sunshine and team building we might not have won but we definitely all had a fantastic day! 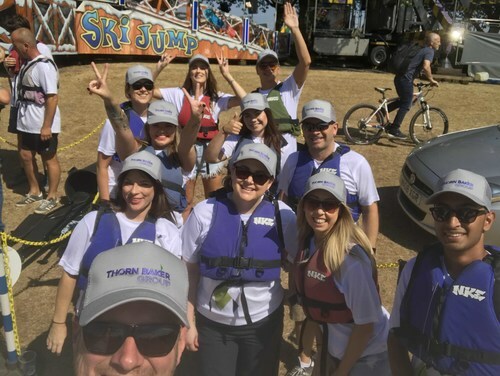 Managing the day Gable Events joined with Rainbows Hospice for Children and Young People for the 10th dragon boat challenge to be staged as part of the Nottingham Riverside Festival, this year we helped to raise over £11,000 which is amazing. Rainbows is the only hospice in the East Midlands that provides vital care and support to children with life-limiting illnesses from across the region. They also look after the wider families – mums and dads, brothers, sisters and grandparents – because life-shortening illnesses affect everyone. 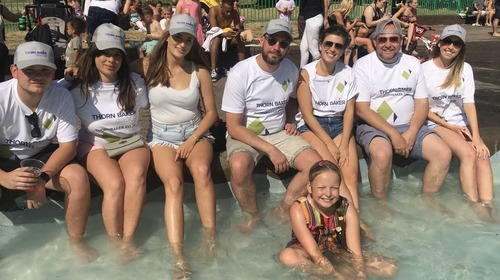 The money raised will help allow these families to make the most of the time they have together, making precious happy memories they can treasure forever.